We have previously written that, when it comes to recommendations, there will always be a gap between what is best and what is achievable – and that Mick Gooda and Margaret White know this. Gooda has said that he “shares the community’s fatigue with reports that achieve no change.” Setting up the Royal Commission into the Protection and Detention of Children was the threshold step; the ultimate test for this royal commission will be in the days and weeks following the release of the recommendations. 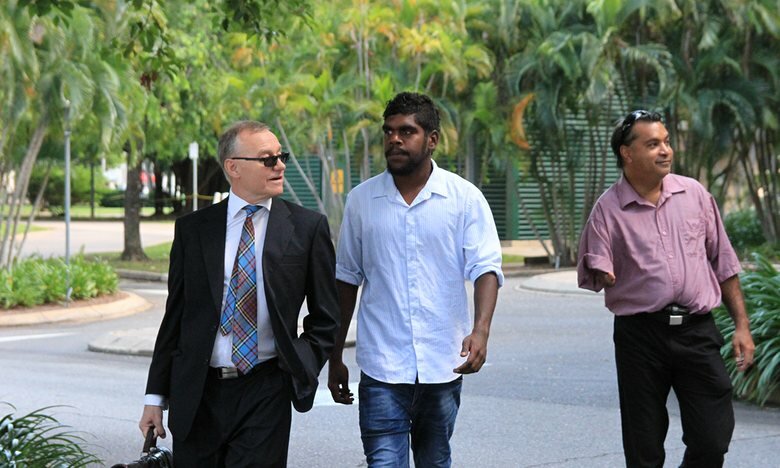 While the inquiry is not explicitly about Indigenous rights, the fact that 95% of juveniles detained in the Northern Territory are Aboriginal means that this commission will necessarily be an inquiry into systemic disadvantage within the Northern Territory. Again, Callaghan cut straight to the point when he said that while 30% of the NT population was Indigenous, almost all of the children in detention and 86% of children subject to care an protection orders in 2014/15 were Indigenous. In fact, Aboriginal people are over-represented in almost all of the metrics you don’t want to be over-represented in, including suicide and serious illness. Areas of Indigenous disadvantage overlap and compound each other. These “medico-social issues” will be examined by the royal commission, as they should be. “Strong and robust oversight” of prison systems and guards, including the ability to make complaints. The right to make complaints must be well understood by child inmates. “Well-trained and well-recruited staff who understand human rights” (the original Four Corners program revealed that some of the guards at Don Dale were former cage-fighters who had had as little as four days training before being placed in charge of children). O’Brien Solicitors’ principal, Peter O’Brien, asked Megan Mitchell, If we tackled children’s problems when they were younger, could juvenile detention centres be obsolete? This is essentially a question about justice reinvestment: the diversion of money away from prison and into communities, aimed at stopping crime before it happens (for a quick explainer, check out this NAAJA video). Justice reinvestment was the focus of a recent Four Corners program and is objectively a good idea – and as this royal commission wears on, more and more people will come to realise just how important an idea it is. The evidence of the second witness, Carolyn Richards (the former Northern Territory Ombudsman), was unfortunately interrupted by technical difficulties. While I don’t want to say that a dodgy Skype connection is proof of an impaired royal commission, these kinds of technical delays don’t do anything to alleviate concerns about the royal commission’s tight timeline. The royal commission has only 25 public sitting days scheduled in before it has to produced its report in May next year. At 25 days, this royal commission has been called the “speediest in history”. Many groups have already raised concerns about short timeframe of the royal commission, including the commissioners themselves. There have been tentative signs that the commission may request an extension of time, and George Brandis today said that such a request would be looked at “sympathetically”. When the royal commission was first announced, the incredibly intelligent Gillian Triggs made the suggestion that the commission be conducted in two phases: the first phase to produce a quick report into the Don Dale abuse, and the second phase to look into youth detention more generally. In our respectful submission, Mr Brandis, the two-tiered approach is still a very good idea. ← What’s Happening in The Northern Territory?